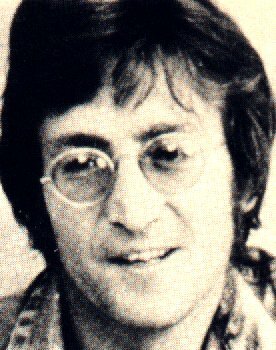 Welcome to my John Lennon page! I just believe in Jesus! JOHN LENNON: I JUST BELIEVE IN JESUS! 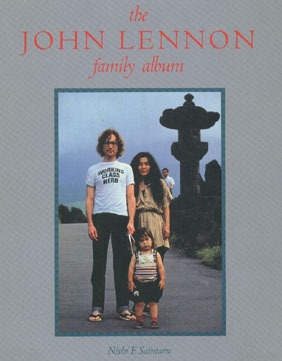 NEW: John Lennon: Stand_Before_The_Clouds. It´s about the coming rapture! John Lennon had many followers who ARE Anti-Christ, and they have done everything they could to portray John as anything but a true believer! NEW: My friend Hannu Tikkanen with his The fools on the hill: Nowhereman in Finnish: mieseimi.ra You need Realplayer to hear this. A day in the life 2 with me. I want to hold your hand. My hand. She´s a women Women in Finland. Pictures: The Beatles in Vahakabinetti Vahakabinetti is in Visulahti StMichel Finland. The return of Jesus is an extremely current topic at the moment. It is so timely that even many believers have stopped talking about it. According to Jesus' teaching we should talk about current topics! This booklet presents as a summary how the Bible is God's revelation to humankind from its beginning to its end. It is written history which is recorded beforehand. Israel is an especial sign for the times.The Bible says that the believers won't be caught up in the clouds to meet the Lord before the Antichrist appears (2Th.2:3) to ratify the peace pact with the many (Dan.9:27), I won't begin to clarify a clear word to make it its opposite: "the church will hold back the appearance of the Antichrist". I understand that the peace treaty, which is to come true in near future, is the sound of the last trumpet or the strike of midnight of the clock of times when the believers are taken and the thief comes in. The time of wrath which is worse than the end of the age or the Flood (Mt 24:21). Who would like to stay here? It is possible to be saved from the day of wrath. One has to turn to Christ and stay in the narrow way. This is the core and teaching of this book. One has to have a very stupid mind if he isn't in Christ, because the last sign is explained beforehand. By telling about future events in advance we are forcing people inside the Ark of salvation. I've done my duty as a forcer. The reader must make his own choice. Let no one deceive you in any way, for that day will not come (2Th 2:3) until the Antichrist appears to ratify the peace pact with the many (Dan 9:27). The peace treaty in the Middle East which is under preparation at present, has been announced in the Bible both in the Old and New Testaments. During those days when the peace treaty is being drafted, the watchful Christians (Mt 25) and fetuses and other little children (Mt 24:19) disappear up in the clouds to take refuge (1 Th 4:17). The prophecies of the Bible are not vague but very exact written history which is recorded in advance. Many study the scriptures and in these times the knowledge shall be increased (Dan 12:4). The one who doesn't study won't become greater in understanding either. No matter how hard you study, the word won't be revealed before its due time, the right season (Eccl 3). And there are some people for whom the seasons never come. But he who continuously stays in Christ, though not understanding the word, he will be wise. When the wise leave, only the foolish will stay here (Mt 25) inspite of the knowledge or the other possible talents they may have received from the Lord. The prophecies of the end of ages are sealed till the time of the end (Dan 12:9). But already as early as in 1823 John Ag. Brown from the USA discovered that the seals of the book of Daniel had been broken. Brown predicted, or made calculations based on the Bible, that the dominion of Turkey in Palestine would collapse in 1917. A real breakthrough in the study of prophecies took place at the end of the 19th century. One has to mention particularly Mr M. Baxter and Mr G.Guinnes. The biblical researcher from London, Doctor Grattan Guinnes, published his book "The End of the Age" in 1895. The book came out in Finnish in 1898 by the publisher K.J. Gummerus Oy. Dr Guinnes calculated that there are four years of the end of the age that bear special importance. These years were 1915, 1917, 1923 and 1924 © year 1917 would be especially vital and crucial. Guinnes: "We won't even try to predict those events that may take place during these strange years in the future. We only want to remark that consistency seems to strengthen the presumption that the years which remain are similar in quality of their incidents to those corresponding years 2520 years ago. The events whose witnesses we are going to be are similar in nature to events at the beginning of the times of the Gentiles. Particularly the last three years are significant thinking of the destinies of the Roman Catholic Church, Israel and God's congregation. "A thinking reader should reflect upon these facts, draw conclusions and ask himself this question: If the year 604 B.C. saw the birth of the kingdom of Babylon and its reign over Israel, what incidents might the corresponding year at the end of the age see? The answer is a God's secret and we aren't able to say anything. But there is no doubt that those who live to see the year 1917 have reached the ending year which is one of the most important ones © if not the most important." Afterwards it is easy to specify Guinnes. The first year was not 1915 but 1914. Because 2520 years earlier a war began to deport the Jews, now the ending of the sevenfold judgements (7 * 360 years = 2520 years) would be realized by war to abolish the Turkish dominion and to open the country for the Jews. At that time also began the unparalleled rise of nations against nations which Jesus talked about (Mt 24:7). If that was the beginning of the "last generation" (Mt 24:34) whose lifetime is 80 years at its most (Ps 90:10), the return of Jesus should then take place around the year 1994. Some people calculate though that the last generation would start in 1948 and last 40 years, thus Jesus would come on the clouds around 1988. But Jesus actually talks about the vanishing of one generation. What generation vanishes in 40 years? Besides, that generation should see not only the invisible comeback of Jesus to take his own to the wedding of the Lamb but also the public arrival from the wedding to the Mount of Olives (Zech 14:4). The year 1917 was really an important year. For Israel the date 9.12.1917 was of great significance. That day the English general Allenby acted according to his prayer answers and used a plane (the Turks in Jerusalem had never seen an air bird before) to drop his order to surrender equipped with his signature. Isaiah 31:5 came true, the Islamites surrendered in Jerusalem. The Balfour declaration was given in 1023-24, the right of the Jews to return to their home country which was ratified by the League of Nations. 2520 years earlier every one of the Jews was forced to deport the country. The crucial role of England in these events had been known in advance. The other famous explainer of prophetic word, an English reverend M Baxter comments in his book "40 Wonders of Prophecy" (1866) that according to the Word that the nation that especially helps Israel when it returns to Palestine will be England. "Who are these that fly like a cloud, and like the doves to their windows? Surely the coasts shall wait for me, and the ships of Tarshish first, to bring thy sons from far,..." (Isaiah 60:8©9). Tarshish means England in the prophecies, said Baxter already at that time although nobody knew what the "clouds" were. Only our generation can comprehend the writings about the radio (Mt 24:6) to the satellite (Rev 11:9-10); from the airplane (Jews will also return flying, Isa 60:8 etc.) to missiles (Rev:1); from the atomic fission (2Pet 3:11) to neutron rays (Rev 9:4); from the trade growth (Lk 17:29 etc.) to skin money (whoever receives a mark on his forehead or on his hand during the next phase after plastic money will be damned Rev 13:16, 14:10, 19:20), from the First World War to the Chinese army with two hundred million solders (Rev 9:16), etc. All the signs that will be completed during the time of wrath can already be seen. God, in his longsuffering, is showing us the signs so that even the most foolish one, the most godless one, would become wise. The very last proofs include the plague of the Book of Revelations. The consequence of sin: aids, toraksii and a species that will kill even more quickly. An efficient cure for the plague can't be expected in near future, and the number of people dying of aids, which is a slower species, will be doubled already in eight months. At that pace every 16th person will be perished by plague (Rev 6:8) in less than a decade. It wasn't for the first disciples to know the times or dates (Act 1:7) but everyone should know how to interpret the present time (Lk 12:56). Jesus did give an answer to the disciples' question concerning the restoration of Israel (Acts 1:6), but it is only our generation that has comprehended the answer. From the sentence "It is not for you to know..." (Acts 1:7), using the numerical values in Hebrew, it has been determined the date 14.5. 1948. That day exactly the state of Israel was founded! In 1948 the rapture of the believers was already near (Mt 24:32). Now in 1986 it is nearer, very near! Already the Old Testament tells about it: "For the Lord will rebuild Zion and appear in his glory" (Ps 102:16). "Let this be written for a future generation..." (Ps 102:18, `Dor aharon', the last generation). The last generation was already breathing when Israel was established! The fig tree means Israel in the Bible. Jesus asked people to learn from his fig tree parable: "As soon as its twigs get tender and its leaves come out, you know that summer is near" (Mt 24:32). The summer in Israel is so hot that the trees (peoples and nations) suffer. The early figs come in April (Jews are converting to Christianity, the so called Messianic). Only after that will the leaves come out (the establishment of the Jewish state and the return of the Jews) and after that in August-September the great fig harvest will take place. In that "summer", during the seven year time of wrath, the Jews will turn (the fruit to a fig tree) to Christ in vast crowds (Dan 9:23 etc.). First the Gentile Christians, i.e. the non-Jewbelievers, will be caught up (Rom 11:25). Jesus himself said that as it was in the days of Noah, so will it be at his coming on the clouds (Mt 24:37). First there was the generation sign (Methuselah=then there is a flood), then a door sign (they started to build the ark) and as the last sign the animals went into the ark even on their own initiative and a week later the door was shut. At present we have the generation sign again (eg. 1917+81=1998. Israel is the door sign (1948+the year of jubilee about 50) and the last sign is the fake peace alliance, the peace treaty concerning Jerusalem. When we tell even the events beforehand, there are some who say that one cannot know the time. They plant trees and make other long©term plans as the foolish in the days of Noah Lk 17:26. The wise will prepare themselves for going up in the clouds! Those who are not getting ready for the rapture will stay here. The wise know the time of the rapture even though they don't know the exact date. "Even so, when you see all these things, you know that it is near, right at the door" (Mt 24:33)! "Don't let anyone deceive you in any way, for that day will not come until the man of lawlessness is revealed (2Th 2:3) to ratify the peace pact in the Mideast (Dan 9:27). If the peace treaty had been made by now, the wise would already have gone! There really are certain things that will be realized before the church leaves. One of them was the six©day war in 1967. One could have guessed the length of the war, because the sixth millenium of the present time is ending, and the seventh is about to begin. "There remains, then, a Sabbath rest for the people of God" (Heb 4:9). Isaiah 60 tells about the future splendour of Zion, i.e. Israel. Many phases are experienced on the way to this splendour. First they arrive in the country by ships and airplanes (Isa 60:8,9). In verse 22 it is said: "The least one shall become a thousand, and a small one a strong nation; I the Lord will hasten it in its time". The latter part of the last word in Hebrew is "shana", a year. In Hebrew there aren't separate numbers but the letters have numerical values. This considered, the sentence can also be translated: I, the Lord, will hastily fulfill that after 19 years from now" (K.O.Syväntö). Israel became independent in 1948. When you add 19 years to that year, you will get year 1967. That year exactly Israel became a strong nation quickly, in six days. As we have already observed, the "days" in the prophecies of the book of Daniel mean years. So for example a week means seven years (Dan 9:23-27). A famous Jew historian Josefus tells that when Alexander the Great visited Jerusalem (around year 340 B.C. ), the Old Testament researchers presented him the O.T. prophecy about a young Greek who destroys the Persian Empire: Alexander the Great believed that he was the man, was encouraged and adopted a more favourable attitude towards the Jews. The "he©goat" in the book of Daniel was Alexander the Great. In 333 B.C. he was the leader of the war against Persia, and carried out the plans that his father had left incomplete: the freeing of Asia Minor from the dominion of Persia and, thus, the conquering of the whole Persia. (Uusi Tietosanakirja, Karisto 1928). He also conquered Palestine and Jerusalem in 333 B.C. It was predicted that from that day when the young Greek conquers the Holy City, it would take 2300 "days" i.e. years when it would again be in the possesion of Jerusalem (Dan 8:14). ©333+2300= 1967! Jesus said that Jerusalem will be trampled on by the Gentiles until the times of the Gentiles are fulfilled (Lk 21:24)! It is true that it is easier to understand the prophecies in the Bible after than before their fulfillment. But one did have the knowledge to wait for Jerusalem to fall into the hands of Israel, as happened in the six©day war around July 6, 1967. Vilho Rantanen from the Free Church writes in his book "Israel as the Sign of Times" (Päivä 1966): first of all the church is looking forward to the day when the Jerusalem of Jesus' times falls into the hands of Israel" (p. 158). A Lutheran professor, Aapeli Saarisalo, writes about the same matter in the book "Jerusalem, if I Thee Forget" (WSOY 1963): "But the old Jerusalem Jesus is referring to (Lk 21:24) is still being trampled on; no Jew is allowed to step on its soil . The prophecy is closer to its fulfillment than ever before. Jews themselves have acknowledged that it was God's hand that gave them the present area, and the same hand was still preventing them from taking the old city in Jerusalem into possession" (p. 64). When waging the remarkable six©day war, the godless (those who live without God) newspapermen were wondering and asking: is the Bible being fulfilled? Many say they will believe if they see. The foolish won't believe even if they see. In this booklet I haven't introduced the latest books dealing with the end of the world. Although the knowledge has increased, it has also meandered farther away from the truth. But also the old traditions of men make sure that the truth won't come out. Here I'll just tackle the worst and most general errors dealing with the rapture of the believers. The scoffers will be making writings come true by saying that Jesus won't come, 2 Pt 3:4. It can't be a secret for us what "With the Lord one day is like a thousand years" means, 2Pt 3:8. There is no need to write to us about times and dates for we know them very well (1Th 5:1-2). God has a seven©day or seven©millenium plan: e.g. 4000 B.C. the Deluge; 2000 B.C. Jacob, i.e. Israel, was born; Jesus became flesh at the right time; and 2000 A.D. is about 1998. (Maybe in October 2000) Because the seventh day is exactly the same as a thousand years (Rev 20:2), the other days are as well. Jesus himself will first come down from heaven, and his own will be caught up in the clouds to meet him in the air, 1Th 4:17; so Jesus will save them from the coming time of wrath, 1Th 5:9; the body will be chanced, in a flash, into a resurrection body, 1Cor 15:51; and the wise will leave, Mt 25. It wasn't for the first disciples to preach about the return of Jesus. Many do study it and knowledge will be increased, Dan 12:4. K.O.Syväntö: "many travel to and fro and knowledge will increase". Veijonen: "When you "travel" a BOOK, to study is not a translation error! The seals will be opened. It shouldn't be hidden from us (1Th 5:2) or in other words: the time is known. The sound of the last trumpet, 1Cor: 15:52; the midnight strike of the bell of time, Mt 25:6, when the understanding wise will cry out the midnight shout: Behold, the bridegroom is coming, go out to meet Him. Then the foolish will say: there is peace and safety, 1Th 5:3. Someone is made to say:now it is the time. The hour is known more or less in the same way as the time of the Flood was known in the days of Noah, Mt 24:37, etc. 6. The rapture will take place after the Gospel has been preached as a testimony to all nations. The Gentile Christians won't have the time to complete their preaching before the Son of Man comes on the clouds, Mt 10:23, the believers disappear when the hardening the Jews ends, Rom 11:25. The Messianic Jews bear the main responsibility for preaching the Gospel in the time of wrath. To every thing there is a season, Eccl 3:1. Any day ©doctrine is contrary to the truth. The death won't come any time, either, but it can come as a surprise. Therefore be watchful! The end of the age will come like a thief, as a surprise, 2Pet 3:10. Jesus won't come as a surprise to his own, 1Th 5:4. The time of wrath will come as a thief in the night, 1Th 5:2, at midnight 12pm, Mt 24, when the foolish say it is peace now, 1Th 5:3. It won't. (a SPECIFYING correction 1994: the length of the wedding of the Lamb is 1335 days, Dan 12:9©12. The rapture will take place about 45 days (1335©1290=45) before the real influence of the Antichrist begins for three and half years). The time will be the given number of days even though the days are shortened, Mt 24:22, by a third, Rev 8:12, to be 16©hour days by speeding up the rotation round the axle when the earth is falling, Isa 24:20, for examle to the orbit it had before the Deluge. The mountains will collapse, Rev 16:20, contrasting reactions to the Flood will take place like falling of huge hailstones, Rev 16:21. It is argued that the Antichrist won't be able to appear as long as the believers are in the world. But there are believers here also during the Antichrist, especially the martyrs©to©be. The opposite of impenitency and God himself is keeping the Antichrist from not coming, 2Th 2:3©9. (Prophecy 1994: The climax of impenitency will be the negotiations about splitting Jerusalem; the initiation of the peace talks will begin the return of Gog, the Antichrist will come back, and appears to ratify the peace). This argument is here to show that people don't have the simplest sense of logic anymore. If an argument by adapted to itself declares itself invalid, then the argument is a lie. Nobody can be sure that no©one is sure. It doesn't yet prove that somebody can be sure, but why would an unsure person take unnecessary risks, that is uncertain. Be wise now! Who knows when the believers disappear? "Heaven and earth will pass away but my words will never pass away. No©one knows about that day or hour, not even the angels in heaven, nor the Son, but only the Father", Mt 24:35©36. About the day when the present heaven and earth disappear doesn't know anyone else but only the Father. That is stated in the Bible really clearly. But the question is not about the visible return of Jesus or His coming to meet his own in the clouds! In the 24th chapter of the Gospel according to Matthew the disciples ask Jesus three different things. 3) What is the sign of your return (Mt 24:3). Jesus answers all these questions. 1) Jerusalem was wiped away in 70 A.D. Already Daniel prophesied more than 500 years before Jesus' time that Christ will be killed and Jerusalem will be destroyed by the attacking prince of Rome (Dan 9:26) and the Jews themselves will have to go into exile. If this still leaves someone to preach how Titus met his end in a flood, that person ought to acquaint himself with the booklet 'On the translation errors in the Old Testament' by K.O. Syväntö. 2) The sign of the end of the age is that God's Word is fulfilled nearly till the end. "My words will never pass away". The kingdom of the thousand years has ended and Satan has been released for a little while (Rev 20:2). The length of this while is not declared and thus we now don't know the date of the end of the world, and it is not probable that it can ever be known exactly, by year, not even when it is at hand, sometime after the year 3000. "Heaven and earth will pass away", but that day no©one knows, except "the Father alone" (Mt 24:35©36). Because we don't know it, the day of the Lord when the material elements will be dissolved with fire and the earth and the works that are upon it will be burned up (2Pet 3:11) will come as a thief. A thief without the time definition "in the night", not telling when, as a surprise. 3) the sign of the coming of Jesus: First of all the coming has many stages. a) He will first come and meet his own in the clouds, catching them together with the dead in Christ in a resurrection body up in the air (1Th 4:16©17). b) the Lord will come to the Mount of Olives with his own, Zech 14:4, as visible as a lightning to the whole world (Mt 24:27 etc.). 2001 ?! - they say "Peace and safety" (in Jerusalem too, Daniel 9:27) then sudden destruction will come upon them like the birthpangs of a pregnant women, 1 Thess 5:3. But we for the obtaining of salvation throught our Lord Jesus Christ, 1 Thess 5:9. We will be caught up along in the clouds to meet the Lord in the air, 1 Thess 4:17.